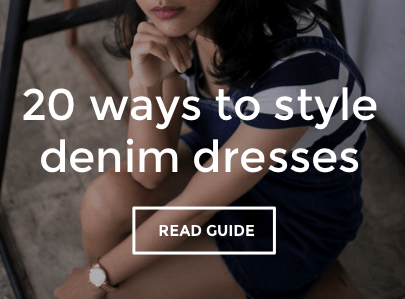 Denim dresses are just about the most versatile style going, taking you from day to night with a simple change of shoes. Team midi styles with block heel sandals for effortlessly cool daywear, then add a skinny leather belt and matching heeled sandals for chic eveningwear. Or style down in a denim shirt dress and complete the look with canvas plimsolls.